Please DO NOT park on the side of the entrance road, as your vehicle will be towed. You must park in the parking lot. Be considerate and pull all the way up to the bumper logs to allow maximum flow for four rows of side-beside parking. 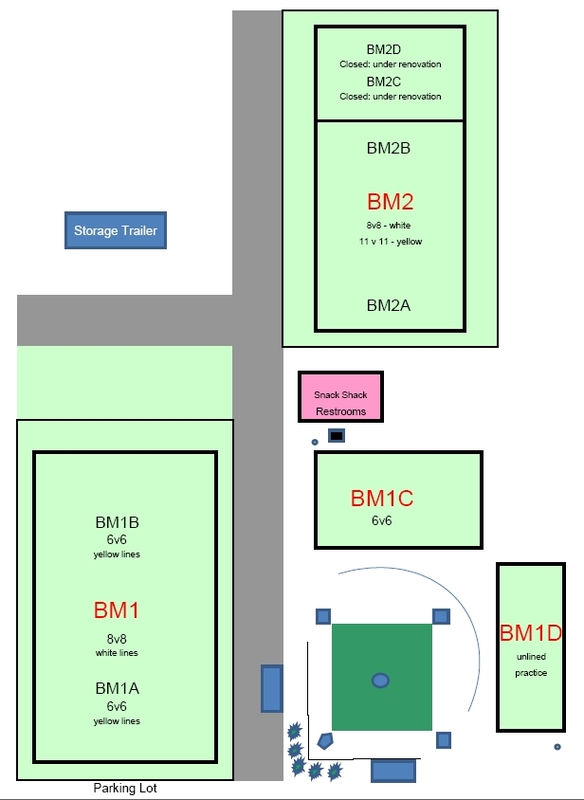 For tournaments, permission for overflow parking is graciously allowed in the lot of the Butterfly Place. 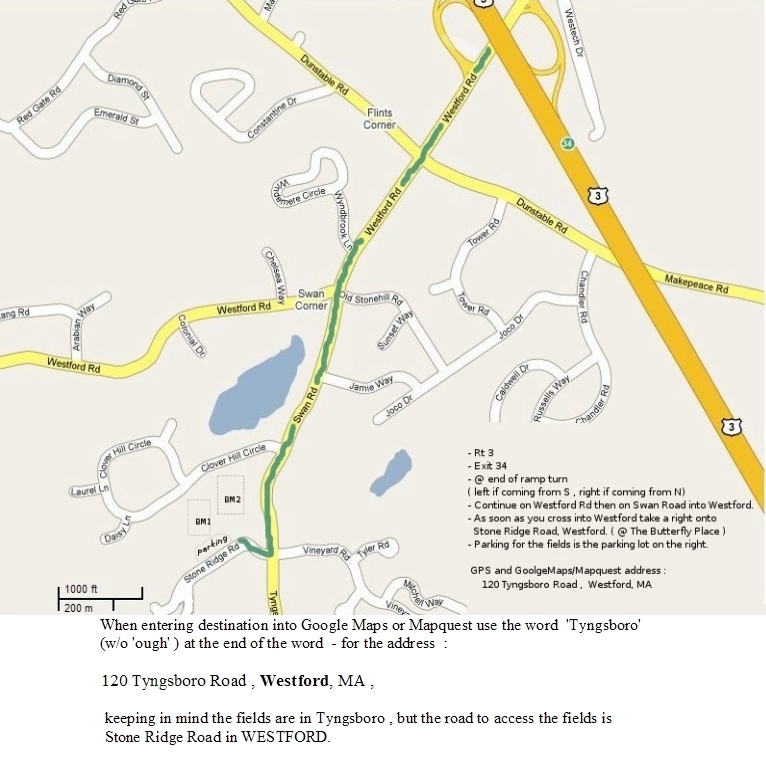 Directions: From the Merrimac, take Frost Road (Rt 3A) North over the bridge toward Hudson, NH. Take a right onto Lakeview Ave. At a 4way intersection, take a left onto Coburn Rd. The Early Childhood Center (ECC) is on the right side of the road. - bear left onto Frost Rd. - Take a right onto Norris Rd. field is behind the school complex. From Bridgemeadow fields, take a left onto Swan Rd, follow along through 4 sets of lights. 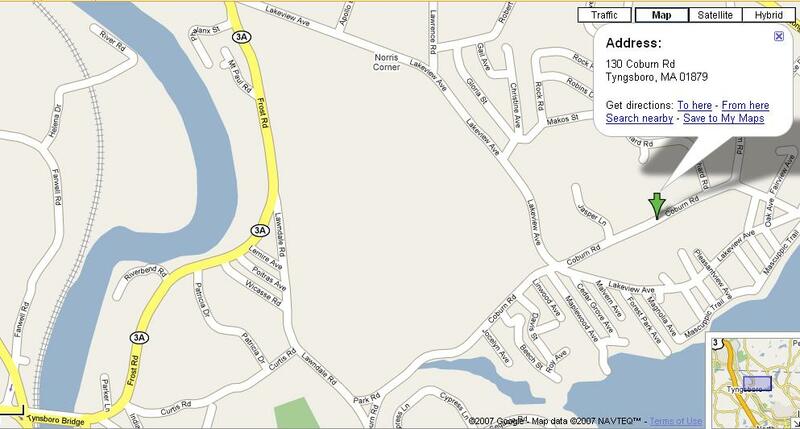 At 5th set, take a left onto Middlesex Rd, (at the Merrimac River), and take the first right over the Tyngsboro Bridge. Then bear left onto Frost Rd. Take a right onto Norris Rd. School is on the left, field is behind the school complex.